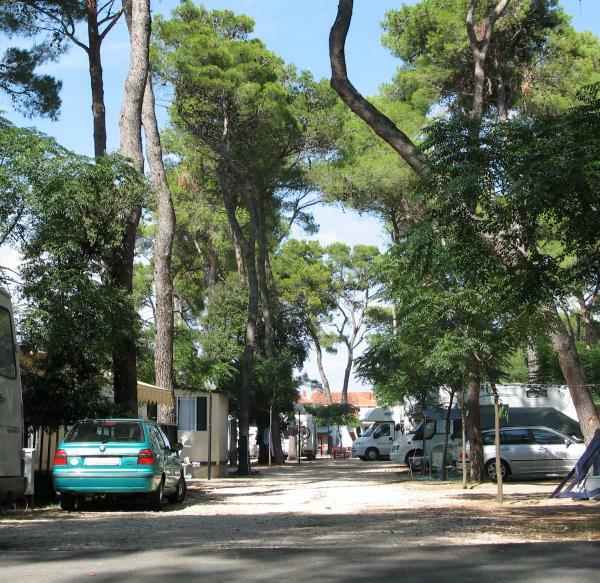 Award winning campsite Oaza Mira is situated in Drage, a small village not far from Biograd. The distance to Zadar is around 37km. 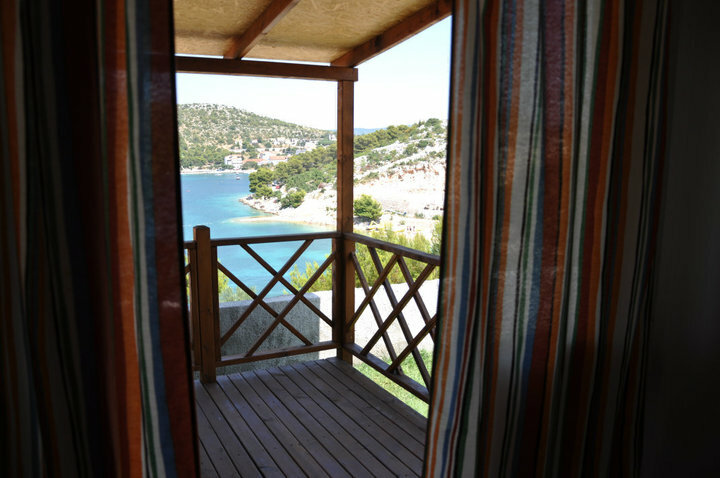 Although located close to cities like Zadar and Šibenik, Oaza Mira lies very peacefully amidst small hills and just a few steps down to the beautiful Torina beach. By boat or a light paddle you can reach the small island of Vrgada which is surrounded by sandy beaches. 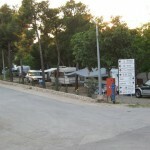 You can rent a boat or launch your own within the camp area. 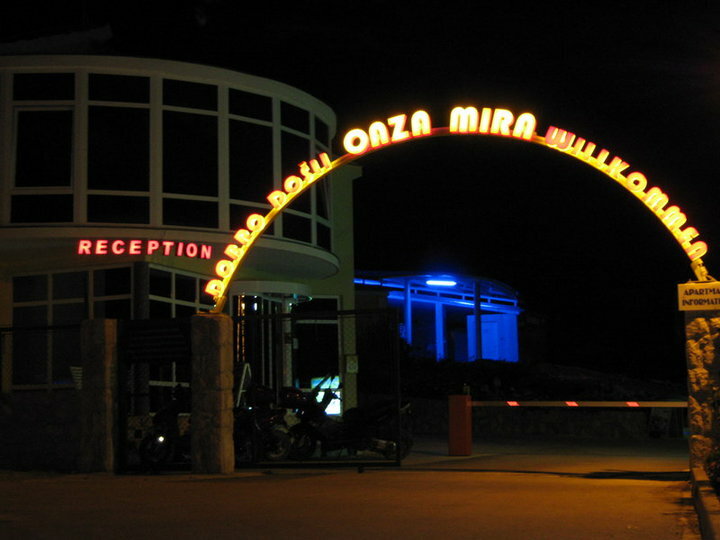 Oaza Mira has around 150 pitches and has the capacity to accommodate up to 600 people. 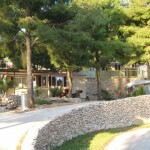 In camp there are tennis, soccer and basketball courts. It also offers a variety of options for those interested in sports and recreation. 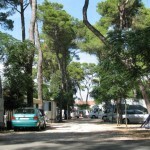 The camp offers mobile homes for rent. 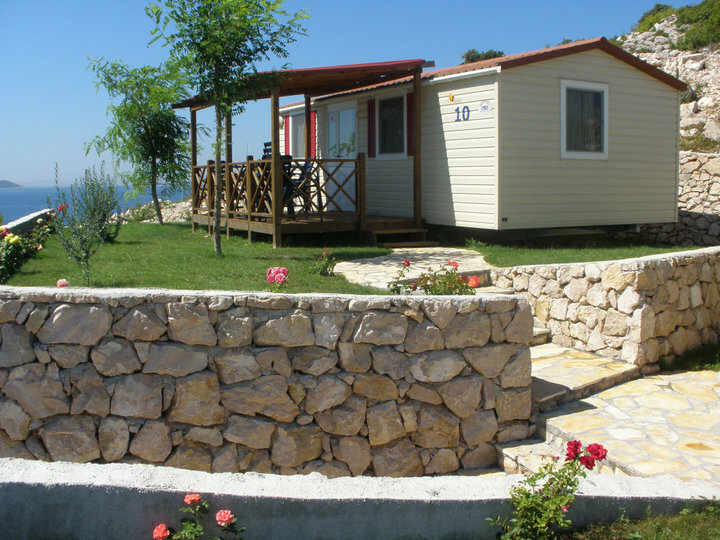 All mobile homes are located close to the sea and have their own small garden with a 10m2 terrace with eave. 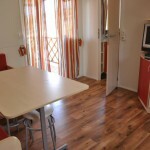 With a surface area of 32 m2 divided in two bedrooms, the mobile homes can accommodate up to 6 persons. 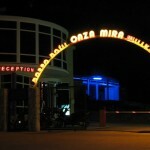 There are 150 pitches on Oaza Mira, mostly constructed on terraces. The majority of them (108 lots) are situated on a hill towards the coast, while the remaining 50 are placed on the opposite side, close to the pine-woods. All pitches have water and electricity connections. 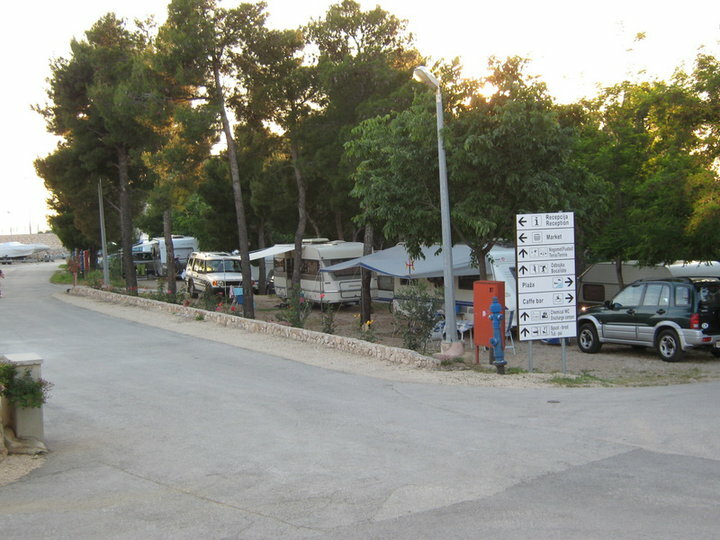 On the campsite there is a caffe bar and a small shop, selling a limited selection of fresh fruit and vegetables. 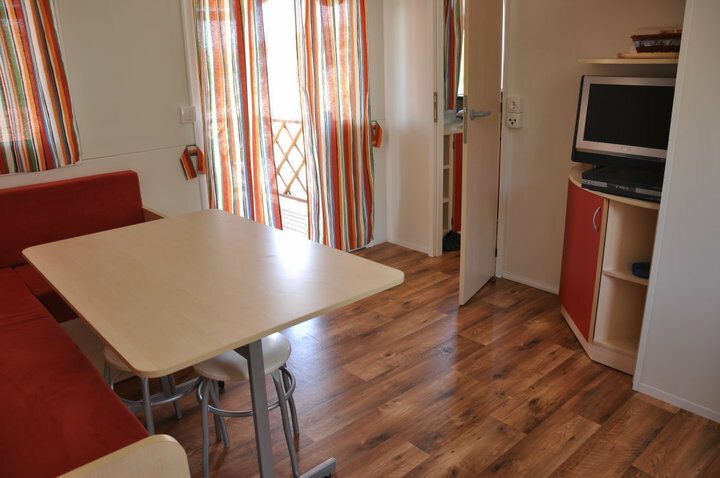 The camp also has a fully equipped sanitary unit, chemical toilets as well as toilets for disabled. Inside the camp area you can find 2 tennis courts, a volleyball court, one multi-purpose court for soccer, basket ball, a playground for children and a bowling-court. 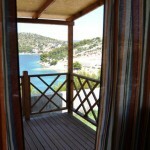 You can also play volley ball on beach courts and there is possibility to rent boats and Jet-ski. Dogs are allowed on the campsite, but must be in leach. If you bring your dog you can only camp in certain areas. Pets are not allowed inside the mobile homes. The camp has pet-showers. 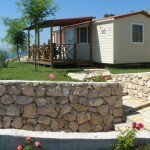 Drage lies in the middle of the Adriatic coast. 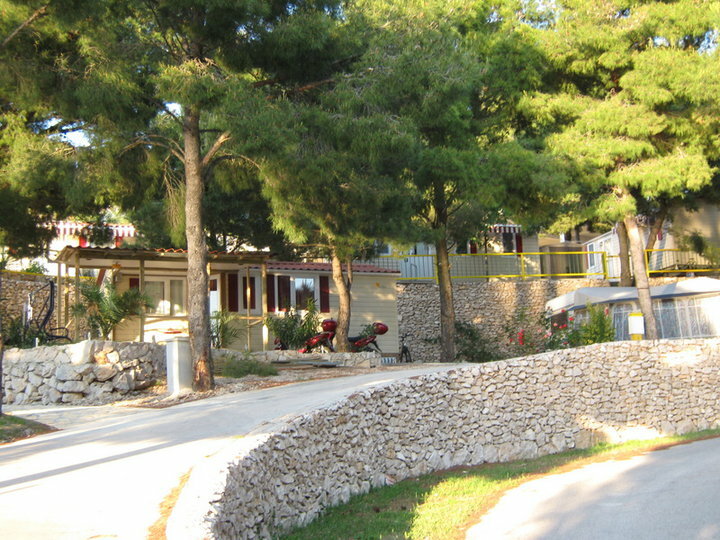 By car or bus, you can reach it by the main roads from Zadar or Šibenik. If you come from the northern border, the fastest way is to take the highway, either from Zagreb or Rijeka.